Heard about this hidden gem in Kamla Nagar for the best Bread Pakoras? 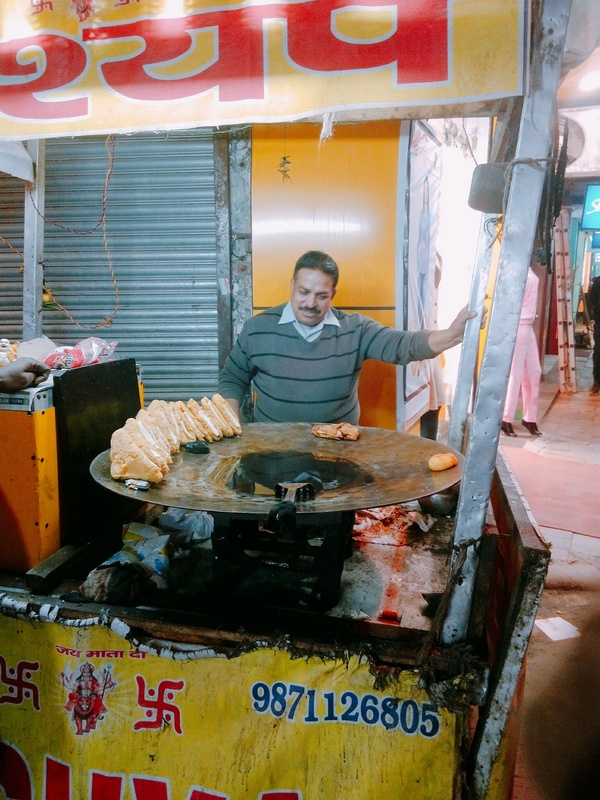 The bustling streets of Kamla Nagar have always been one of the favourite marketplaces in North Delhi and the old street food gems of this place are the main reason why people love to shop and spend time here. One such old gem is the irresistibly delicious Kashyap Bread Pakora stall located in one of the bylanes. The easiest way to reach this stall is to take the road connecting Spark mall and Bungalow road. 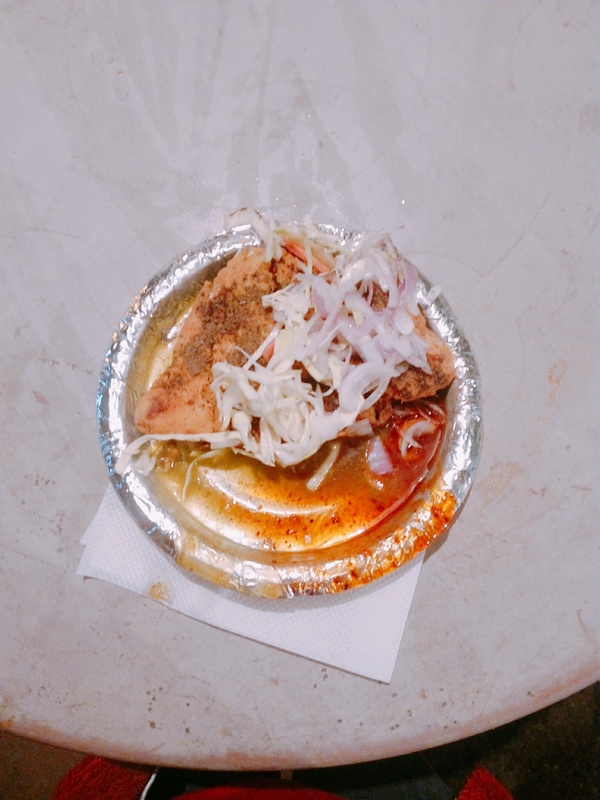 This stall has appetizing bread pakoras and tikki. It is owned by Sunil Kumar who also happens to be the one to cook the snacks. He believes, by the blessings of his father, Late Sri Ram Singh, his business has flourished a lot in the last 36 years, since establishing it in 1981 with his brother. He started selling them at Rs 2.5 only! This Bread pakora is a pure winner amongst all the pakoras that are out there. The outer layer is appropriately crispy, somewhat spongy, rendering a very light texture. The pakora is covered in a batter made out of besan (chickpea flour) and moong dal. It also has a thick layer of paneer, coated with boiled and spiced potatoes which are sandwiched between 2 bread pieces, dipped in the batter for a perfect coat and fried in desi ghee. It is coupled with imli chutney, hari chutney, chaat masala, shredded cabbage and raw onion, and reheated to serve hot. The stall is manned by Sunil ji along with two helpers. They start at 4pm and everything is sold out by 9pm!